Thoroughly wash the quinoa to avoid bitterness and cook for about 15 minutes. Slice the avocado. Marinate 3/4 of the avocado slices with half of the lemon juice, salt and chili. Crush the garlic together with some sea salt and mix with puréed rest of the avocado, parmesan, tahini and the remaining lemon juice until you’ve got a homogenous paste. Roast sesame and poppy seeds in a pan without oil. Grate the cucumber very finely, sprinkle with a little salt and strain through a sieve or a cheesecloth until there is no more liquid coming out of it. 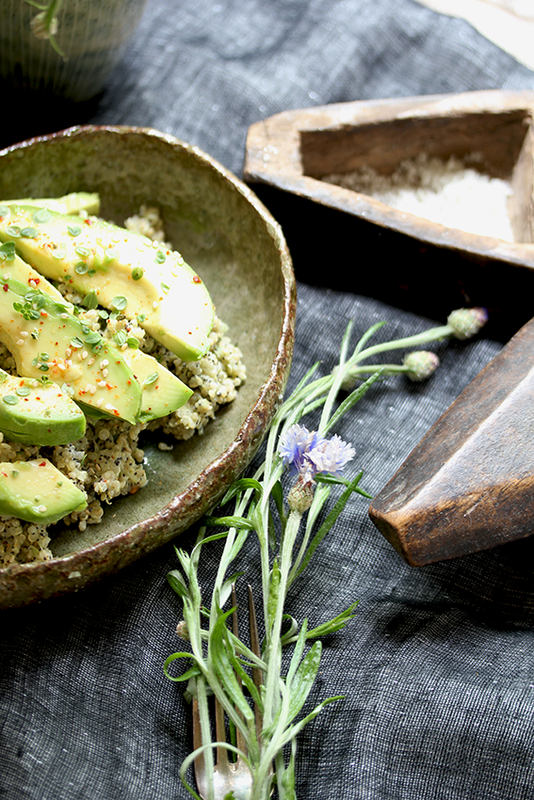 Drain the quinoa and whisk with the tahini mixture. Add cucumber, poppy and sesame seeds. 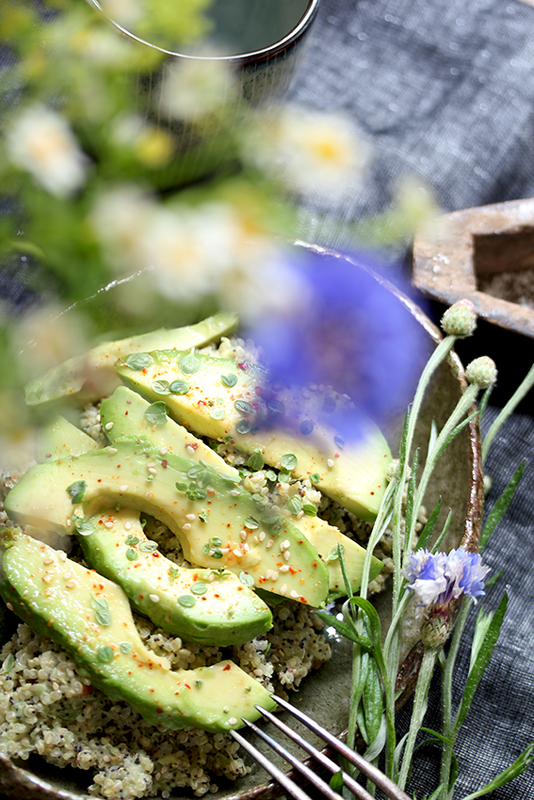 Place avocado slices on top, dress with the marinate and generously sprinkle with lemon thyme or coriander.